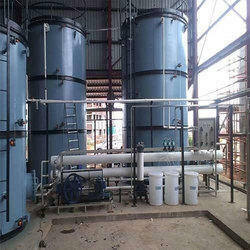 Our range of products include zero liquid discharge plant. Companies may begin to explore ZLD because of ever-tightening wastewater disposal regulations, company mandated green initiative, public perception of industrial impact on the environment, or concern over the quality and quantity of the water supply. The KEP is providing the turnkey solution for zero liquid discharge, which includes the process like primary treatment, secondary treatment, tertiary treatment and evaporator, and dryers. Based on the effluent characteristic’s KEP will select the process of treatment to recycle 100% water to process. Looking for “Zero Liquid Discharge Plant”?